I am sure that by now everyone is aware of Facebook's attempt to connect the people in rural and remote areas. Back in March they published the State of Connectivity report highlighting that there are still over 4 billion people that are unconnected. 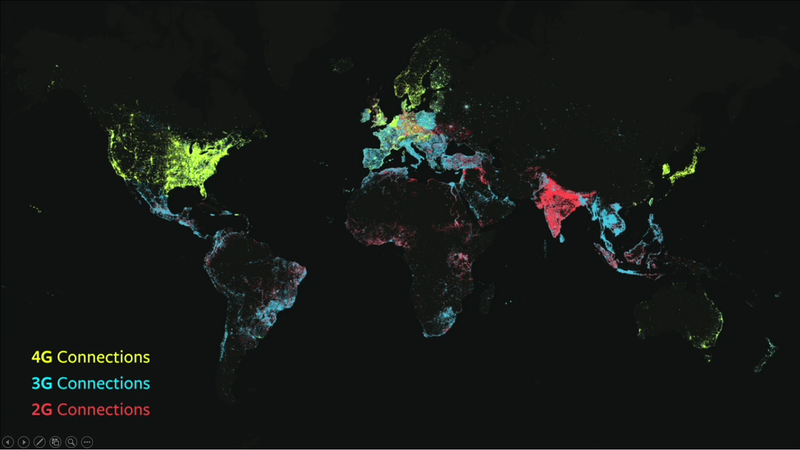 The chart above is very interesting and shows that there are still people who use 2G to access Facebook. Personally, I am not sure if these charts take Wi-Fi into account or not. In my earlier post in the Small Cells blog, I have made a case for using Small Cells as the best solution for rural & remote coverage. There are a variety of options for power including wind turbines, solar power and even the old fashioned diesel/petrol generators. 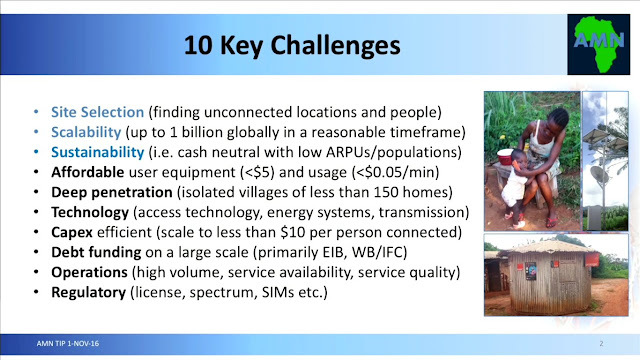 The main challenge is sometimes the backhaul. To solve this issue Facebook has been working on its drones as a means of providing the backhaul connectivity. 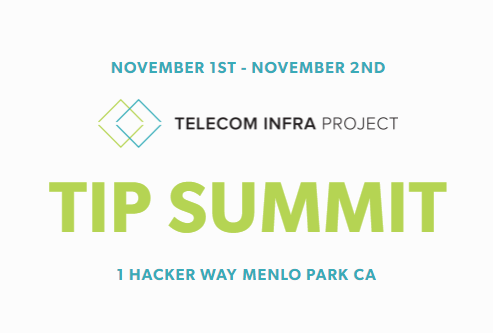 Recently Facebook held its first Telco Infra Project (TIP) Summit in California. The intention was to bring the diverse set of members (over 300 as I write this post) in a room, discuss ideas and ongoing projects. There were quite a few interesting talks (videos available here). I have embedded the slides and the talk by SK Telecom below but before I that I was to highlight the important point made by AMN. As can be seen in the picture above, technology is just one of the challenges in providing rural and remote connectivity. There are other challenges that have to be considered too. Embedded below is the talk provided by Dr. Alex Jinsung Choi, CTO, SK Telecom and TIP Chairman and the slides follow that. Download the TIP slides from here.